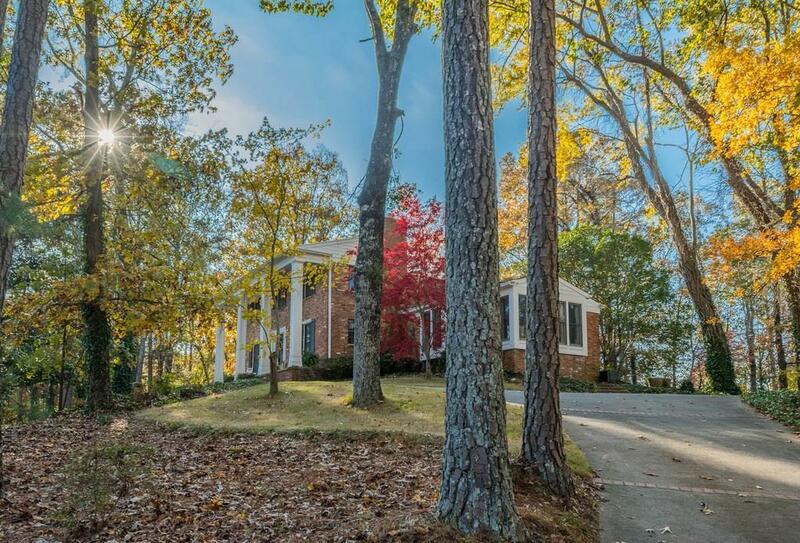 Wonderful opportunity to live on one of Sandy Springs most prestigious streets. This 2 story home with a unfinished basement is ready for your special decorating touches or use this .96 acre lot to rebuild your dream home. The stately columns of the front porch have a commanding view over the front lawn. The main level features an extra large master, banquet sized dining room, fireside family room, music room, second bedroom, large laundry/craft room & a sun porch. Upstairs there are 4 bedrooms & 2 full baths. 3 car garage. Directions: 285 From Dunwoody, Exit At Riverside Dr And Take The First Exit Off The Round About, Go Left On Heards Ferry. Home Is On The Corner Of Heards Ferry Rd & Heards Ferry Dr.